Do you want to create a web browser window that allow browsing of only one website? 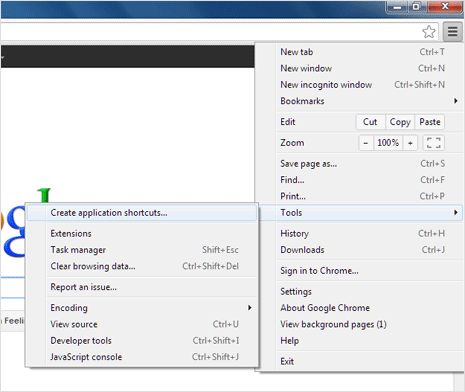 This is can be easily done in Google Chrome browser using in-built “Create Application Shortcuts” feature. 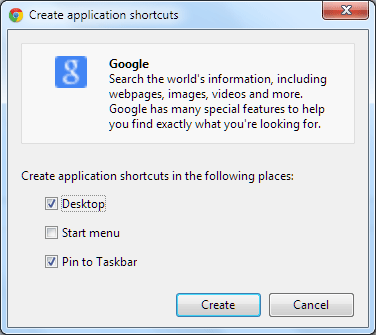 You can create application shortcut for specific website like google.com within Google Chrome browser. Once single website browser window is created, it will open specific website in it without providing you option to surf any other website (as address bar and tools bar is removed from it). 1. Launch Google Chrome browser and then open website (like: google.com) for which you want to create browser window. Once website is loaded, click on Settings icon at top right and then goto Tools > Create Application Shortcuts option. 2. You should see “Create Application Shortcuts” pop-up box. Here you can click to select places where you want shortcut for single website browser to be placed among options like: Desktop, Start Menu and Pin to Taskbar. 3. After selection, click on Create button for your new single site browser shortcut. Click on new shortcut, it will open Google Chrome window without the address bar, bookmarks bar and options. 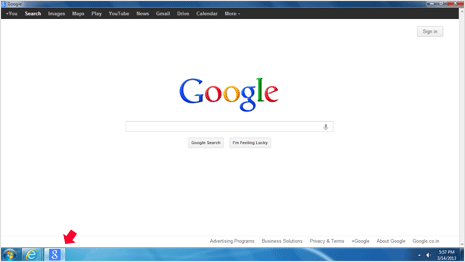 You can surf specified website (like: google.com) in your single website browser window without any distraction. This is an ideal solution if you are heavy email users, just create single site browser for Gmail.com website. Also, you can use this for restricting kids to surf specific website offering child based contents minus un-suitable online content. There can be many practical uses of single website browsing features, start exploring.